First of all I would like to thank all my new and old sponsors for being with me in this crazy journey. So first and foremost I want to talk a little about them and how they are helping me become a better athlete. First is my local team Tri2One. I have been part of Tri2One for 4 years now. Lead by Marcelo Holceberg, he has put a great team of individuals from all different backgrounds. The best part is that there are athletes of all levels. From beginners just learning how to clip on a bike, to the Pro’s that wins every race. What I love about the team is that. The variety, when I started a while back, I was in the back of the pack… always dreaming of one day be as fast as my other teammates. Now, through lots of effort I have grown as an athlete and now I am in the top of the pack…, although I still need an extra push to become the leader of it ;) . That’s why, when I see a beginner, I see a little of myself… and I shine with excitement when they grow as athletes through effort and passion. Now my International Team, Team MaccaX. Started like a year ago, this team is lead by non other than 4x World Champion Chris McCormack. Together with a group of experts and other legends of triathlon, has set up a Worldwide group of athletes of all levels and nationalities, that connect via social media, to discuss training, nutrition, and everything triathlon. Is a big resourceful group, you ask questions, and Chris or one of his experts will answer you in no time. The team is supported by top Chris sessions, that have lead him to be one of the most winning triathletes ever. Now with training camps exclusive to members in every continent led by Macca himself, what Chris McCormack and his team have done in a year is something to be reckoned with! My first sponsor was Rudy Project. Great company, and great products from Italy, for all type of sports. I have 2 helmets and one pair of sunglasses. The sunglasses are great since they have Rx and I finally can see where I am riding or running without falling or tripping LOL. The helmets are great and really comfortable, and probably the fastest in the industry. Alina M Photography has been there for me in the good and the bad. Alina specializes in wedding and lifestyle photography. I was very happy that she did some photos for my personal use, plus Alina and her team came with me to photojournal my trip to Kona. A good friend to have, plus she will always put a smile in your face! Seemeinthedark.com specializes in athletic wear with a twist. So what happens when you run early in the morning or at night? Is dark… right? Using the latest technology, seemeinthedark.com clothing let’s you be seen in those dark times of day, to be able to be seen by cars, motorcyclist, or others, so they are aware of you, while you are working out. 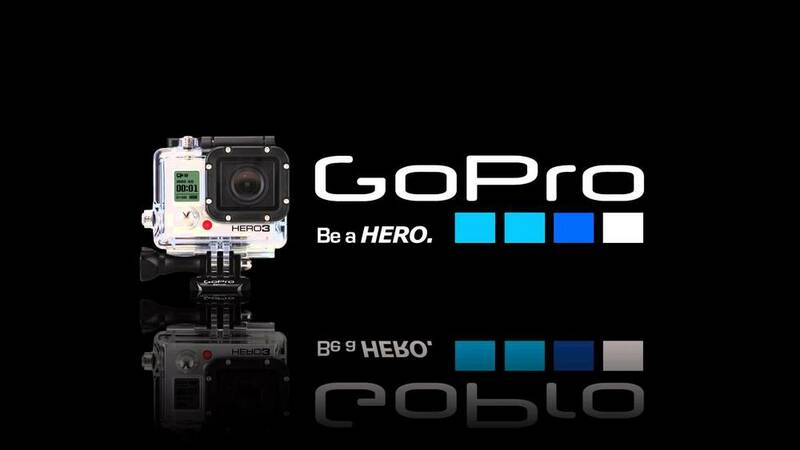 What can be said about GoPro. The camera that revolutionized how we see sports and everyday life. Each new camera they launch is better, smaller and more powerful than the previous one. I cannot wait for the new update! Enduropacks is a great startup. They contacted me with this great idea for a recovery package . All the nutrition needs to sustain an athlete, delivered month by month, in a small no brainer package. Great people to work with and always keeping in touch with them. Their product sustains the nutrients needed to carry on all your active lifestyle. Vitamins, aminoacids, and glutamine to keep going! Lifeproof basically sells indestructible cases for your mobile devices or tablets. They are perfect if you carry an active lifestyle, or if you are a bit clumsy and destroys your valuable electronic devices. Plus a need feature is that they are waterproof! (not only that, but dirtproof, snowproof and shockproof… you get the idea, right?). Great for crazy triathlete like myself. To sustain my long bike rides, runs and races… I rely on Gu Energy (Now, that sounded funny). Gu probably is one of the oldest fuels for athletes out there. They stared a revolution in fueling that many companies followed. In order not to bonk, or to have a little extra energy on those unforgiving workouts, I rely on Gu Energy Gels. My favorite is Roctane Island Nectars, how about yours? I would like to thank all my sponsors, old and new, and let’s make this one a great year to come!! !